#082 Summer's Song - 13"
Will fit: 13" Dianna Effner Little Darling Dolls, 14" Betsy McCall and other dolls similar in size. 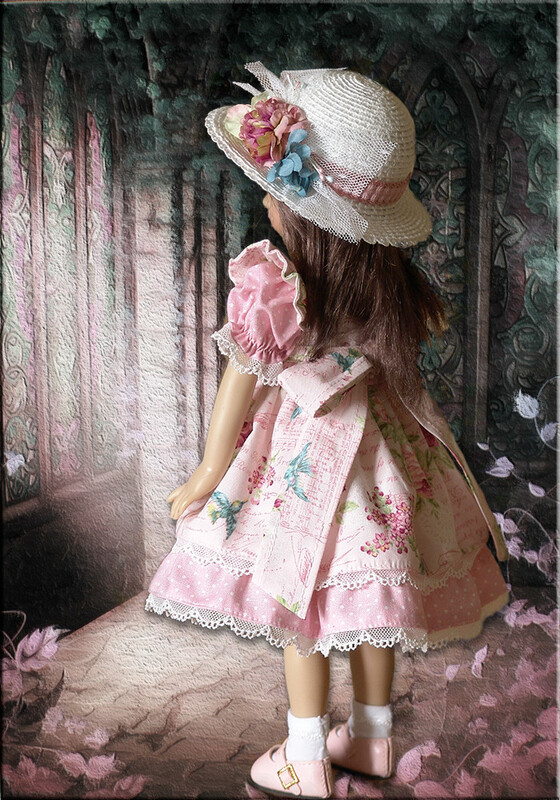 Miss Lexi (13") is fashioning this lovely 2 pc outfit. This beautiful ensemble is made from two coordinating fabrics. The dress is all one piece, but gives the appearance of a a pinafore over a dress. Designed with ruffles at the shoulders, and custom piping at the waist. Side sashes tie into a lovely bow at the back. Dress fastens at the back with two sewn-on snaps. 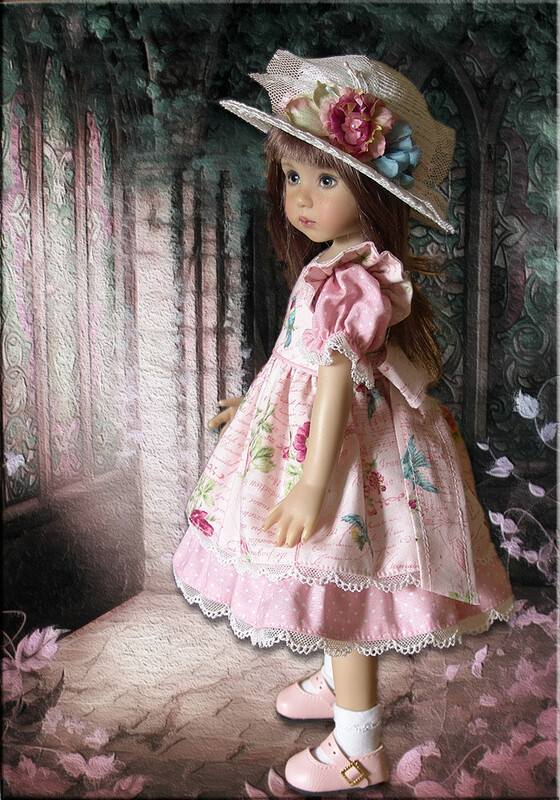 The lovely straw hat was made by my mother Linda of It's A Doll Hat Affair. She designed the hat to specifically coordinate with the dress. *Doll and shoes are not included.